Annual event honoring Gordon Parks. Roger E. Mosley, who played the title role in the Gordon Parks –directed film, “Leadbelly,” will be the recipient of the “Gordon Parks Choice of Weapons Award” at the annual Gordon Parks Celebration this October 5th & 6th, 2018 in Fort Scott, Kan. 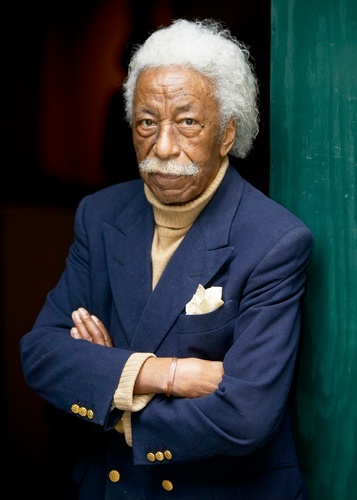 The Gordon Parks Celebration, a component of the Gordon Parks Museum, was created in 2004 by Fort Scott Community College to honor Fort Scott native Gordon Parks, noted photographer, writer, musician, and filmmaker. At the culmination of the first year’s events, the Choice of Weapons Award was established in Parks’ honor to be given annually at the Celebration. Named after his autobiography of the same name, the award seeks to honor a recipient. Previous recipients include actor and musician Avery Brooks, photographer Howard L. Bingham, Elizabeth Eckford and Ernest Green, two of the “Little Rock Nine,” Richard Roundtree, star of the Parks-directed film, “Shaft,” Nichelle Nichols of “Star Trek” fame, acclaimed actress Ruby Dee, photographer John Shearer, LIFE magazine photo editor Bobbi Burrows, Senator Nancy Landon Kassebaum, musicians Marilyn McCoo and Billy Davis, Jr., editor Genevieve Young, filmmaker Kevin Willmott, and educator Bernadette Gray-Little. Roger Earl Mosley (born December 18, 1938) is a retired American actor, director and writer best known for his role as the helicopter pilot Theodore "T.C." Calvin in the television series, Magnum, P.I. from 1980-1988. Mosley was born in Los Angeles, California in the Watts neighborhood. In 1974, he founded the Watts Repertory Company. Mosley played the title role in the 1976 film Leadbelly, chronicling the life of folk singer Huddie William Ledbetter (better known as "Lead Belly"). The film, directed by Gordon Parks, focuses on the troubles of Lead Belly's youth in the segregated South including his time in prison, and his efforts to use his music to gain release. He has guest-starred on such shows as “Night Court,” “Starsky and Hutch” “Kojak,” “The Rockford Files,” “Baretta,” and “Sanford and Son” among many others. His film credits include McQ (1974) with John Wayne, The Greatest (1977, as Sonny Liston), Semi-Tough (1977), Heart Condition (1990) and Pentathlon (1994). He is the father of three children and lives in Los Angeles. Mosley will be honored at a dinner at the Liberty Theatre in Fort Scott on Saturday, October 6th. Ticket information and the full schedule will be posted on the website gordonparkscenter.org. For more information email gordonparkscenter@fortscott.edu or by phone call 223-2700, ext. 5850. PHOTO EXHIBIT in the Lunt Lobby of the Fine Arts Center. The Merl Humphrey Photography-sponsored photo contest will be on display with the theme of “What Inspires Me.” Winners will be announced at the Chamber Coffee. 8:00 a.m. – 9:00 a.m. — Ft. Scott Chamber of Commerce Coffee at the Gordon Parks Museum. 10:00 a.m. – 12:00 p.m. —“Leadbelly” film in the Gordon Parks Museum. FREE. 8:00 a.m. – 3:00 p.m.: Registration open outside of Museum. 2:00 p.m. Guided Trolley Tour of Gordon Parks’ Fort Scott. Meet at the entrance of the FSCC Ellis Fine Arts Center. 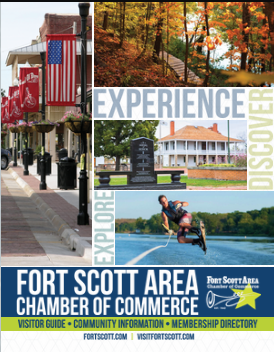 See the places in Fort Scott that are part of Gordon Parks’ history. Fee: $7. 7:00 p.m.—Friday Night Concert in the Park featuring the music of blues guitarist Lem Sheppard, Heritage Park Pavilion at 1st and Main Street in downtown Fort Scott. Food Vendors will be open at5:00 p.m.
9:00 a.m. to 3:00 p.m.: Registration open outside of Museum. 9:00 a.m. – 11:30 a.m. – Kid’s Art Workshop--Art activities for kids age 5-12. FSCC Ellis Fine Arts Center/Meeting Rooms. Fee: $5-payable the day of the workshop. 9:00 a.m. to 11:30 a.m. – Dimensional Art Workshop-Museum $10 Participants will experience creating a one-of-a- kind piece of artwork using photography, pastels and/or watercolors. The finished work will be printed on 11 x 17 paper. Gordon Parks used this technique in his later years and created beautiful images by creating a background either with pastels, watercolor, etc. He then used a found object, lit the entire scene on two levels and took a photograph of it. FSCC Ellis Fine Arts Center/Gordon Parks Museum. Fee: $10-payable the day of the workshop. 3:00 p.m. – 4:15 p.m.—Guided Trolley Tour of Gordon Parks’ Fort Scott. Meet at the entrance of the FSCC Ellis Fine Arts Center. See the places in Fort Scott that are part of Gordon Parks’ history. Fee: $7.